Color Powder Coatings are formulated for quality and functionality. 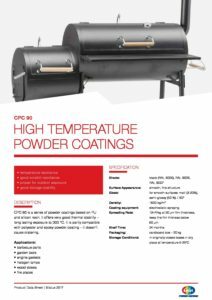 High heat resistant coatings are the proud result of the close work of our engineers and our customers in the Hearth, BBQ industry and related fixtures and equipment such as smokers and outdoor fire pits. 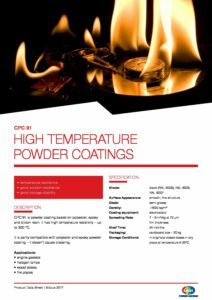 Color Powder Coatings protect surfaces from long lasting exposure up to 300°C.